I found a recipe on Pinterest, made a list of what we didn't have, and then made the mistake of asking Chris if he was in the mood for something new. Basically, when he came home he dismissed me from the kitchen. I am going to share the original recipe here in a screen shot from my Pinterest page. Also, this recipe is credited and should direct you to the exact link on Dole's website. The one difference is I requested to add cheese. 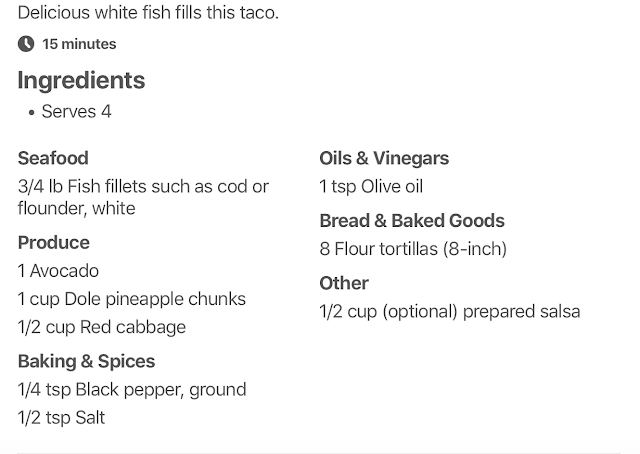 Had I been in the kitchen I would have fried the tortillas into a hard shell, squeezed a ton of lemon on the tilapia, and then gave it some spice for taste. 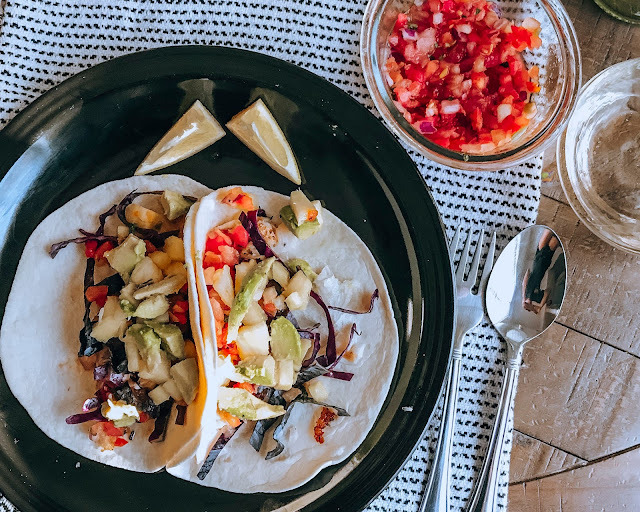 I always enjoy Chris's cooking but I felt the tacos were somewhat dull because Chris wanted to mainly taste the fish. Also, this was the original iPhone photo. This was meant to be as not staged as possible. So lol if any brands are reading this I promise I can deliver exceptional photos!